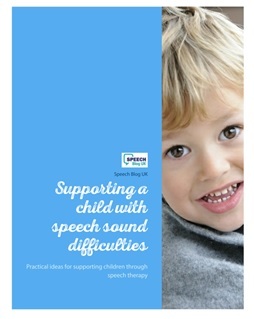 As speech therapists, we spend much of our time talking about, thinking about and using words. Vocabulary is so important when encouraging a child’s language skills; whether you are waiting for those words, or trying to improve sentences for SATS test, a good vocabulary is key. Verbs are one of the main building blocks in a sentence. They are the words that tell us what people are doing. They allow you to go from using only nouns, to being able to make short sentences to comment and ask questions. As your language expands, a good range of verbs allows you talk about what people are doing. For example, the man isn’t eating his dinner he is devouring it. So whatever level your child is currently at, here are some ideas on how to help encourage verbs. Before a child can say a word, they need to understand it first. 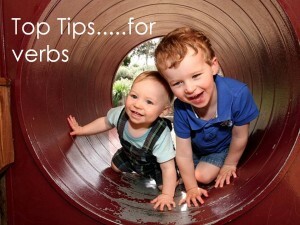 To make sure that your child understands a range of verbs, try singing action songs like “If you’re happy and you know it clap your hands”, or brush your hair or stamp etc or “This is the way we drink our juice, wash our hands” etc (you can sing this to the tune of ‘Here we go round the mulberry bush’). When your child has practised the song with you, try stopping when you get to the verb and see if they can fill in the gap. When you are playing, talk about what the toys are doing, “Thomas is stopping, now he’s ready to go” or “look, Teddy’s sleeping” You can narrate what your child is doing whilst they play. Hopefully they will join in! At first, concentrate on 2 or 3 new verbs at a time. It may feel repetitive, but it will help your child learn. Play Simon Says type games giving simple instructions for your child to follow e.g. “Simon Says walk?”, “Simon Says jump?” etc. If your child does not respond, or does the wrong action, show them what to do “Look, I’m jumping, can you jump?” Begin by repeating the same few verbs, then introduce more. Let your child have a turn at giving the instructions too; all children love playing teacher! If your child continues to have difficulty with verbs, choose 2-3 simple actions and focus on them for a few weeks. 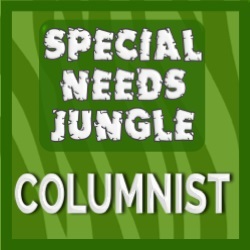 Try to use them as often as you can in everyday life and play situations. Pick a basic verb and see how many other verbs you can think of that mean nearly the same thing. For example for ‘eat’ you could have ‘consume’, ‘devour’, ‘nibble’ or ‘snack’. Having a good range of vocabulary is critical for making progress within the national curriculum. If appropriate, you/ your child could look up similar words in a dictionary or look online. Talk about the words to ensure your child understands them. Make a basic sentence and try and change the verb – see how many different verbs will fit. For example “They …….. the food”, you could have ate, cooked, prepared, chopped, stirred, bought etc. Another extension of this activity is to choose an item and think of how many things you can do with it/ to it. For example if you picked a book, you can open it, read it, shut it, carry it, look at it, throw it (although this may not be a good idea!). This can also allow for discussion of harder vocabulary; you can devour a book, but this does this mean you have eaten it? So, whatever your age, practising verbs is important; whether you are just starting to talk and link words, or whether you need to improve your vocabulary.